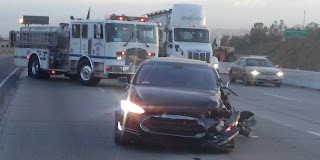 Tesla drivers are known to be careful drivers generally. 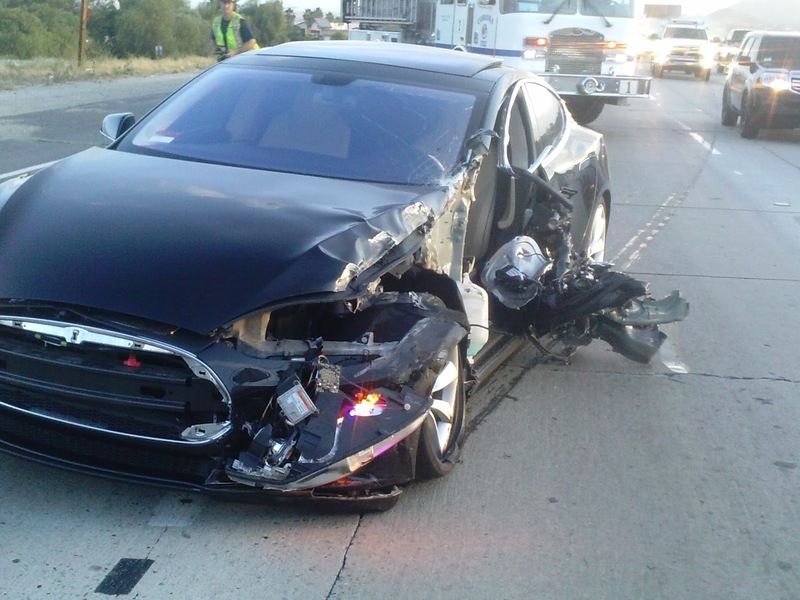 And with the introduction of Autopilot, the number of accidents in a Tesla should theoretically be minimized. 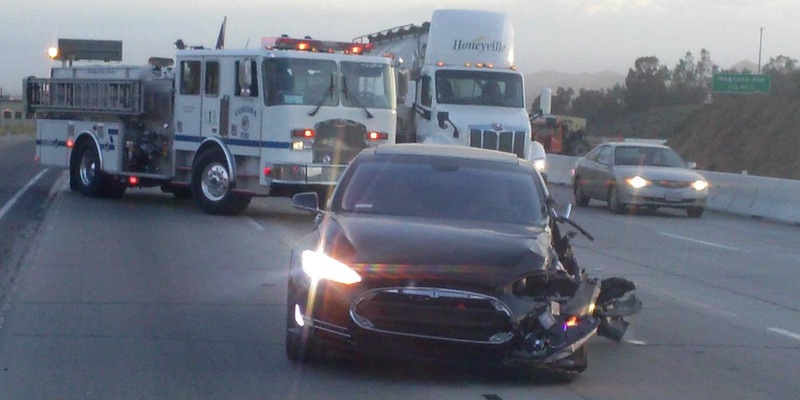 Unfortunately, as more vehicles are driven on the road, more accidents are bound to happen. Especially if you are recklessly driving while drunk. Pictures on imgur via Reddit emerged today of this horrific accident causing total damage to the driver's door and left headlight and bumper. 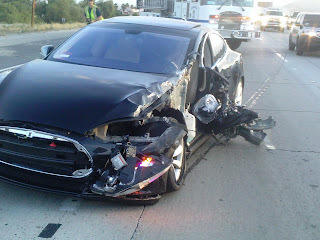 Eyewitnesses reported seeing a Model S smashing into the back of a truck on a highway in California. 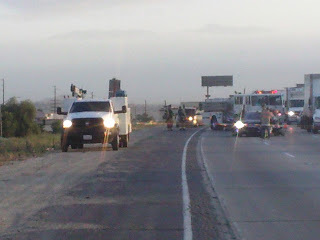 The truck driver alleged seeing the driver visibly drunk fleeing the scene. It is still unknown where exactly this accident happened. 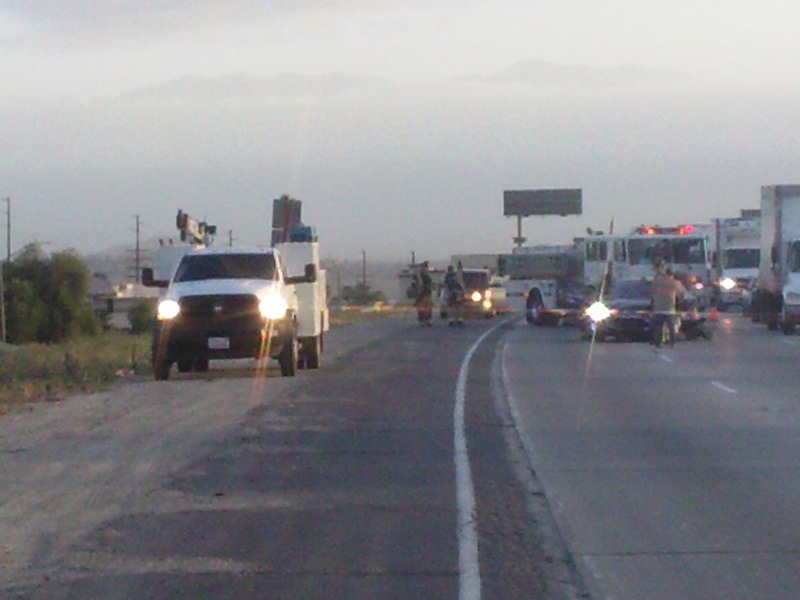 We will update this page as soon as we gather more information on this accident. Let's be fair: there is no such thing as "visibly drunk". Drivers can also suffer a range of medical conditions that mimic the affects of alcohol. Do not prejudge, lest others prejudge you.